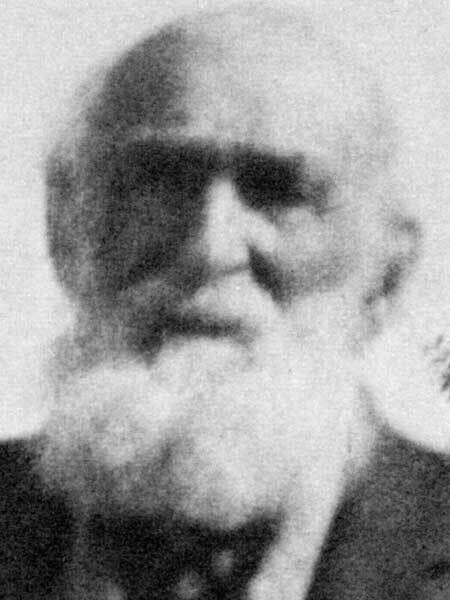 Born at Langford, Northern Ireland in 1834, he emigrated to Canada with his family in 1847, arriving at Kingston, Ontario where he was apprenticed to a shoemaker. Three years later, he was helping with survey work for the Grand Trunk Railway, and served as conductor on its first passenger train into Toronto. In August 1881, he helped with construction of the Canadian Pacific Railway in Manitoba and filed a homestead claim at the Deloraine Land Titles office. He then returned to Ontario to bring his wife and five children (George Hysop, Frank Hysop, Ida Hysop, Harry Hysop, and Ernest Hysop) back to Manitoba, homesteading about four miles from Killarney Lake. He suggested to the CPR that they establish gardens at stations along their line, to show arriving settlers the capabilities of the land. The railway put him in charge of the program, and he eventually became responsible for the maintenance of forty-four gardens on the main line from Brandon to Golden, BC. He died at Killarney on 28 November 1917.